We Will Transport It is your professional snow plow transportation/hauling company. With years of extensive industry experience, we have the tools and expertise to ship all types of snow plows to domestic locations. Our certified carriers and drivers are skilled in loading and unloading plows for snow clearing purposes. Similarly, they haul these oversized structures via ground for added safety and convenience. 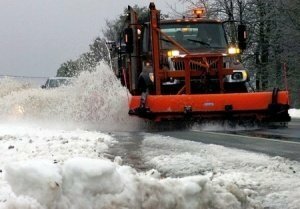 Whether for manufacturing companies, civil municipalities, government emergency services or trades and sales, we are able to get your snowplows to desired destinations within time and budget. We transport all types of snow plows for snow clearance jobs. We haul plows via ground for safety and timely deliveries. Our team keeps in contact throughout the entire transportation job to and from your destination. Our team safely loads snow plows while ensuring they remain shuffle-free en route to destinations. We ship these units for local companies, manufacturers, businesses, municipal governments, city emergency services and more. We Will Transport It continue to receive great industry ratings and customer reviews. This enables us to improve our services daily, while ensuring all your shipping needs are met across the board. We Will Transport It offer snow plow shipping quotes for new and returning customers. This ensures your hauling needs will be met within time and budget. Shipping quotes also allows you to make a worthwhile and informed hiring decision. At We Will Transport It, we have a solid reputation for professional hauling and shipping services. 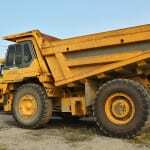 This includes vehicles, trucks, boats, farming equipment, industrial equipment, snow plows and much more. While we do not specialize in international shipping, we can connect you to carriers to achieve desired results. Plows are durable and heavy by design. However, they don’t require too many packing materials for shipping. We can place plow blades on pallets for optimal safely and efficiency. As always, the blades will be wrapped in shrink wrap to prevent damages and/or scratches. Our process also ensures the pallet does not slide or fall off during transportation. Whether you need a big or small pallet, we offer several units for all snow plow sizes and dimensions. One phone call or visit to your website is all you need to get the best snow plow hauling at the best rates. How much it is to ship a snow plow? Snow plow shipping costs depends on a number of factors. This includes to and from zip codes, along with any special or custom instructions. It also depends on the weight of the plow(s) and how big or small the units are in size. We can ship these plows anywhere in the USA. For North American or international shipping, you can simply contact us and we will see what can be worked out. We also invite you to ask us questions about our experience, reviews, shipping costs, and anything hauling related. We are and remain committed to excellence in meeting all your needs. Why Choose We Will Transport It? We Will Transport It is a trusted and reputable company with good industry ratings and reviews. We are fully licensed, insured and bonded to meet all your snow plow transportation needs. Whether for bulk plows, personal shipping, emergency snow clearance jobs or heavy loads, we ship it all. As one of the top auto transportation companies in the nation, we offer multiple quotes from plow haulers/transporters with just one touch of the mouse.